We Need You On Our Boards and Commissions! 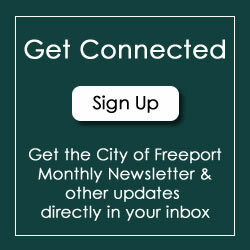 Becoming a member of a board or commission for the City of Freeport is fulfilling community service work and plays a vital role in moving Freeport forward. The City of Freeport has openings on various Boards and Commission. Please let Mayor Jodi Miller know of your interests through completion of the following form: view link. Forms should be returned to Mayor Jodi Miller, 314 W. Stephenson Street, Suite 200, Freeport, Illinois 61032. 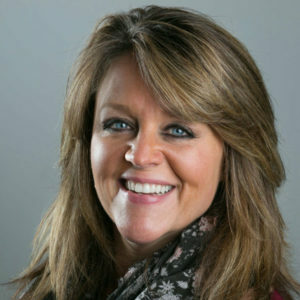 Please call and speak to her administrative assistant with any questions at phone number 815.235.8200. Provide sound municipal leadership and efficient, high quality services that enhance the safety, economic prosperity, quality of life, and public health of our community. Be the chief executive and administrative officers of the City Government, enforce the laws of the City and require the faithful performance of all administrative duties. Perform all such duties as are imposed upon him or her by statute or ordinance, and take care that the laws and ordinances are faithfully executed. Supervise the conduct of all officers of the City, examine all reasonable complaints made against any of them and cause all violations of duty and other neglect to be punished promptly or reported to the proper tribunal for correction. Have the power, at all times, to examine and inspect books, records and papers of any agent, employee or officer of the City. Have the power, either by himself or herself or by any officer or person designated by him or her, to investigate and inquire into the affairs or operation of any department, division, board or office. When so authorized by Council, he or she may employ consultants and professional assistants to aid in such investigations, examinations or inquiries. Appoint competent and qualified officers and employees and have the power to dismiss, suspend and discipline all officers and employees under his or her control. He or she may also require a department head or officer responsible to him or her to appoint or remove subordinates. Designate himself or herself, or some other officer or employee, to perform the duties of any office or position which is vacant, or which lacks administration, due to the absence or disability of the incumbent. Assemble estimates of the financial needs and resources of the City for each ensuring year, and prepare a program of activities within the financial power of the City. Have the power to assign any employee of the City to an office or department requiring services appropriate to the ability of the employee so assigned. Prescribe such rules and regulations as he or she shall deem necessary or expedient for the conduct of administrative agencies subject to his or her authority, and have the power to revoke, suspend or amend any rule or regulation of any such agency, except where prescribed by ordinance. Have the power to set aside any action taken by a department head under his or her control, and to supersede him or her in the functions of his or her office. Have the power to direct any department, office or board to perform the work of any other department, office or board. Have the power to appoint such committees as he or she shall find necessary for the proper consideration of administrative problems. Such committees shall make recommendations on matters referred to them for the best interests of the City. Have the power to release any person imprisoned for the violation of any City ordinance. The Mayor shall report such release, with the reason, to Council at its first meeting thereafter. Have the power to exercise, within the City limits, the powers conferred upon sheriffs to suppress disorder and keep the peace. He or she may, when necessary, call upon every male inhabitant of the City, over eighteen years of age, to enforce the laws of the State and the ordinances of the City, and call out the militia to aid in suppressing riots and other disorderly conduct subject to the authority of the Governor, as the Commander-in-Chief of the militia. Annually, and from time to time, give Council information relative to the affairs of the City, and recommend, for its consideration, such measures as he or she may deem expedient. Have the power to administer oaths on all lawful occasions.